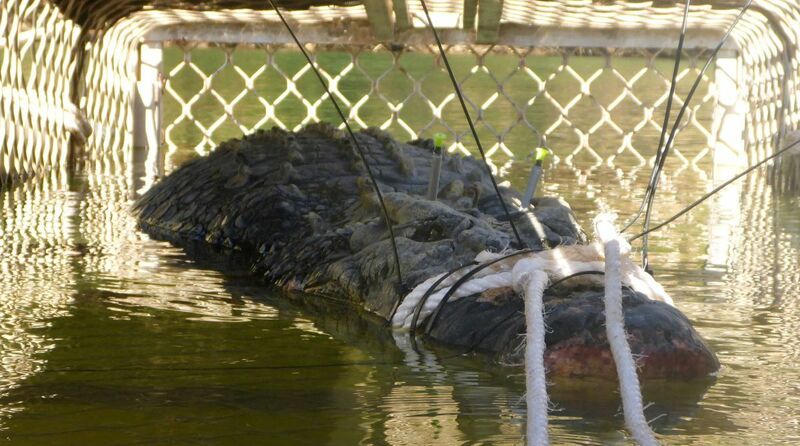 Park rangers in Australia’s Northern Territory (NT) have caught one of the region’s biggest crocodiles after a decade-long hunt. The male saltwater crocodile measuring 4.71 metres in length and weighing in at 600 kg was trapped by the rangers in the Katherine River, 320 km south of Darwin, on Monday evening, reports Xinhua news agency. Another 2.37-metre crocodile was also caught in the river on the same day, approximately 60 km downstream of the town of 6,000 people. Rumours of the monster crocodile have been circulated in the area since its large tail was first spotted near a local boat ramp in 2008. NT Parks and Wildlife rangers Chris Heydon and John Burke said it was unusual to find a crocodile larger than 4.5 metres in the Katherine River system. “We average a 4.2-metre croc most years, but never this big,” Burke told the media on Tuesday. Traps were deployed in the system two weeks ago after three large crocodiles were observed during aerial surveys earlier in the year. The two captures brings the total number of saltwater crocodiles caught in the NT in 2018 to 188, seven of which have been in the Katherine River.